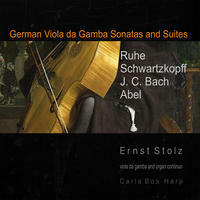 Ernst Stolz: renaissance and baroque beautiful music revealed by dutch gambist and multi-instrumentalist. Ernst Stolz is engaged in various aspects of music education. One of his major activities is the teaching of piano lessons at his music studio. Ernst is an experienced and much sought-after piano teacher, and has worked as a teacher of music in secondary education. He enjoys giving music lessons to both children and adults, and he considers these activities an important mission. Ernst is a performer of early music (Renaissance and Baroque). He thinks it is of great importance that he is engaged himself, in making music at a high level. He primarily focuses on the viola da gamba, but also plays harpsichord. It is his conviction that there are always new things to learn in music and from the music itself. Ernst has received his training at several Dutch institutes of music, including The Royal Conservatory. He studied recorder with Micheal Barker, harpsichord with Bob van Asperen, forte- piano with Stanley Hoogland and voice with Meinard Kraak. Ernst received his piano lessons from Sumiko Nagaoka at The Utrecht Conservatoire, where he graduated as a teacher/musician. In addition, he studied choir conducting in Tilburg with Louis Buskens, as well as music education in Rotterdam. Apart from the many hours of teaching, he practices his various instruments on a daily basis. It is his conviction that there are always new things to learn in music. Other teachers include Bernard Kruijsen, Marjanne Blok, Jaques Ogg, Max van Egmond, Erik van Nevel and Rebecca Stewart. 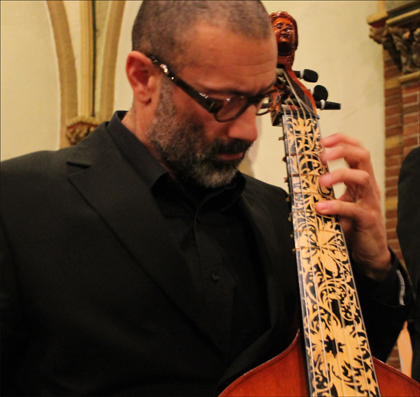 For some time, he also worked with viola da gamba players such as Wieland Kuijken, Freek Borstlap and José Vasquez. Frequently, Ernst participates in early music consorts and Cantata performances. His fine instruments have been built by Marco Ternovec and Floris van der Voort among others. 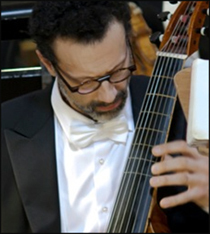 The playing of the viola da gamba, occupies a central place in his musical future. It is his intention to promote this wonderful instrument by public performance and the giving of private lessons. 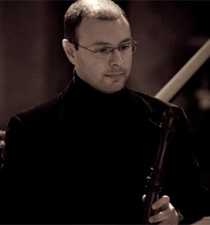 Ernst Stolz is available for basso continuo parts and playing Bach cantatas and the like. He performs frequently together with harpsichordist Karel Smagge. The music recordings that he publishes on YouTube, amongst other things, have turned gradually into a substantial part of his music practice. In these video clips, Ernst performs various works from his vast repertoire in accordance with period performance practice. For many years, Ernst worked as a music teacher for Stichting Buitenkunst. Apart from the teaching activities at his own music studio, Ernst is also frequently occupied as a choral conductor. His daily uploads on YouTube, have become an important part of his work. Many positive reactions are the result of this effort and moreover he got also attention from composers, colleagues, concert-organizations and even his music is used in an Italian film by Serena Nono (daughter of Luigi Nono). Ernst is planning some recordings with other musicians for the coming years and some solo work like the works by Tobias Hume. Ernst Stolz is also a performer of Medieval music and his publishing plans are also in this field. In Ernst's second release with Magnatune he works with Romeo Ciuffa and Karel Smagge on the release Ciaconna. Romeo Ciuffa approached music for the first time when he was eight through a local band experience, when he took his first flugelhorn classes. In 1989 he joined a French horn class at the Conservatoire of "S. Cecilia" in Rome, where his supervisor was Luciano Giuliani. Consequently he studied bass tuba and trombone at the same Conservatoire. His concert activity and personal insight into the historical aspects of music allowed him to study different styles, starting from traditional chamber and solo repertoire until ancient music specifically related to the XVII and XVIII centuries. Mr. Ciuffa has been deeply touched and impressed by this kind of music. Karel Smagge was born in 1948 and studied harpsichord at the Royal Conservatory in the Hague, Netherlands with Bob van Asperen. He also studied with Frans Brüggen, Don Smithers, Alan Curtis and Marius van Altena. As well as courses with Gustav Leonrd, Ton Koopman and Nikolaus Harnoncourt. He is conductor of several choirs and also worked as the conductor or harpsichordist with the Monteverdi Ensemble (Gelsenkirchen), Pro Cantione Antiqua (London), Concerto Vivo (Dortmund), de Städtische Oper (Dortmund), The Spirit of Gambo (NL), The King's College Choir (Cambridge) and Collegium Aureum (Köln) . 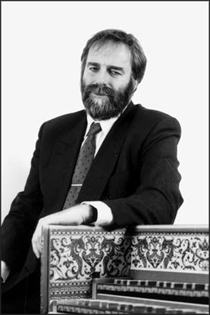 Karel has also played on many early music festivals, in Radio broadcasts and was a lecturer for European universities. Ernst Stolz lives in Den Haag, Netherlands. 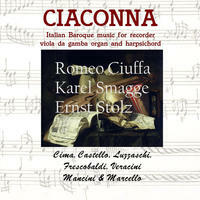 Tagged as: Classical, Baroque, Instrumental, Composer: Benedetto Marcello, Composer: Dario Castello, Composer: Francesco Mancini, Composer: Francesco Maria Veracini, Composer: Giovanni Paolo Cima, Composer: Girolamo Frescobaldi, Harpsichord, Organ, Viola da Gamba.